The collecting, sorting and shipping of spectacles has been a Lions activity for over 40 years. Clubs from as far away as Corby and Braintree are involved and local clubs are actively involved in the organisation. The spectacles from Alton go to Petersfield and then Midhurst and finally to Chichester where regular shipments are made to Le Havre where a charity, called Medico France, clean and grade them. From here they are sent to Africa, India and Eastern Europe. A recent development is the grading of spectacles in the UK with the help of the Inside Out Trust. They are then shipped directly to Ghana, Papua New Guinea, Nepal and Nigeria where known Lions club contacts ensure the distribution. Lion Brian Phillips, who organises the activity in Alton expressed his thanks to the Alton opticians, Leightons, Mathesons and Rawlings for their help in providing collection points and all those who contributed to the appeal. 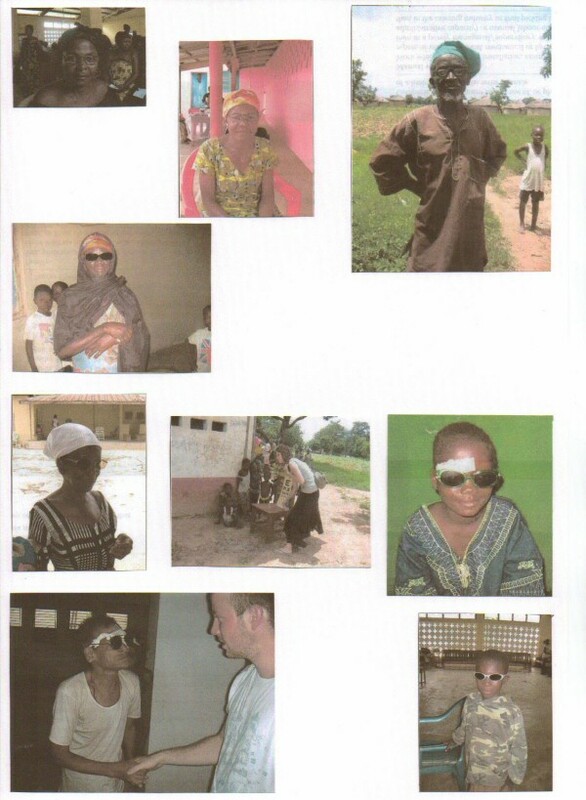 He emphasised that the benefit of such donations was invaluable and that if anyone still had spectacles which they no longer needed they can still be taken along to any of the above locations as the exercise was an annual one and the need ongoing. Anyone wishing to know more about the project should contact Brian Phillips on 01420 88795. For further information about Alton Lions Club and its activities contact Brian Lazenby on 08458 332701 or brianlazenby@btinternet.com. 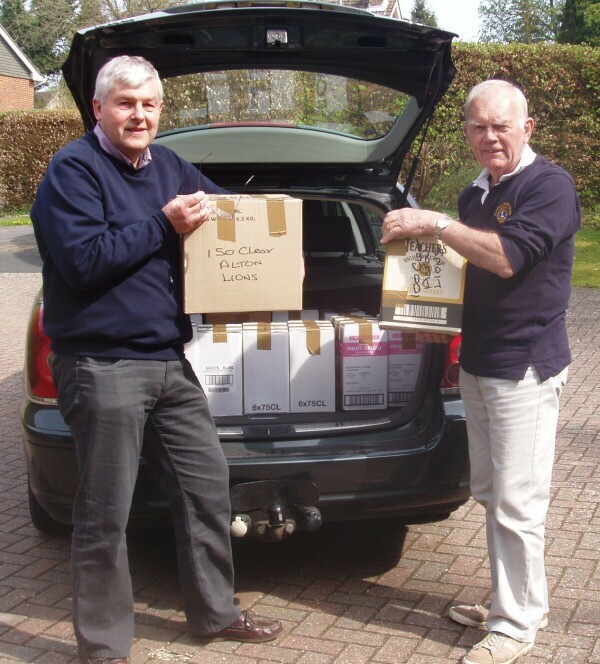 Lions David Hodder and Brian Phillips prepare to take the donated Spectacles to Petersfield. People who have benefited from past donations.